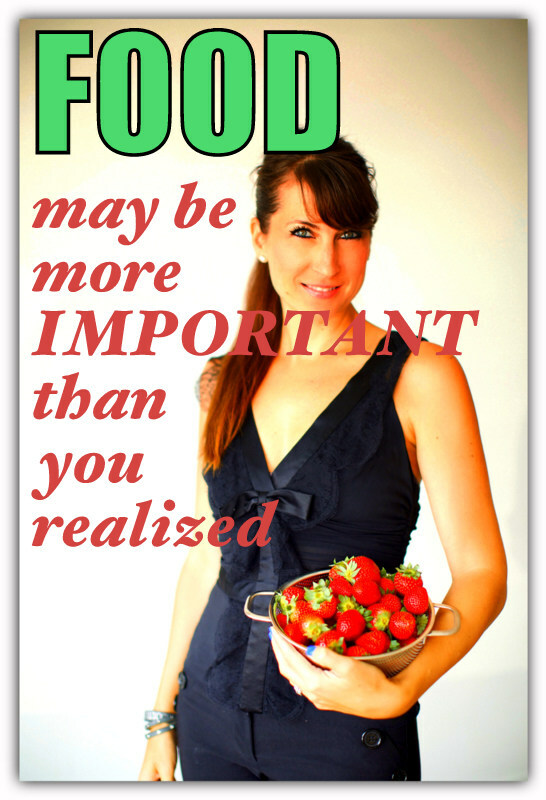 Home » Janie’s Blog » How foods you eat, or don’t eat, can make or break your health! How foods you eat, or don’t eat, can make or break your health! When you think of doing things that will make you healthy, what do you think of? But there’s one more way to achieve health: what we eat or don’t eat! The right food is bigger than we ever imagined for our health and well-being as thyroid patients, especially if you have autoimmune issues. And that is an especially important when the shelves of our grocery stores are filled with rows and rows of over-processed junk!! The following STTM Guest Blog Post…about FOOD…was written by Jennifer Robins. She was diagnosed with several autoimmune conditions like Hashimoto’s disease, had chronic infections, plus Lyme disease. Jennifer became gravely ill and mostly housebound. When traditional medical treatments failed to help, Jennifer turned to food for healing! Yes, food. She removed grain, dairy and refined sugars and began eating �predominantly Paleo”. And because of that radical change in the way she ate, she started reclaiming her life, one whole food at a time. Read about her interesting story! I remember growing up eating a standard American diet, missing little to no school, and having more energy than any one person ever could use. While my family did not eat out or frequent drive-through windows routinely, our home had it’s share of boxed �food�. As a family, we were �healthy.� We felt good and rarely visited the doctor. It’s funny looking back, how people defined �healthy�. Rarely did we think about what goes into our bodies as defining health. Instead, we tended to gauge our health by how we think we feel, how many prescription drugs we are taking, and whether or not we have made any trips to the emergency room. However, with autoimmune disease and other chronic ailments growing exponentially every year, diet and food sourcing is becoming increasingly more important. Eight years ago after giving birth to two babies less than a year apart, I felt miserable. I chalked it up to the obvious lack of sleep, the stress of having two babies so close together, and to the fact that my husband was preparing to deploy, leaving me behind with our infant and toddler. Exhausted, frazzled, irritable, lightheaded, and overheated, I finally headed to my general practitioner to seek advice. She ran thyroid labs and they were �normal�, except for my TSH which read 0. Yes, 0. We agreed to follow up several weeks later and when I did, my labs were all in range, including TSH, FT4, FT3, and reverse T3. My low TSH had resolved yet I felt just as horrible if not worse than the month prior. Eventually I sought out the help of an endocrinologist who discovered my thyroid antibodies. My Anti-Thyroglobulin levels were more than double the upper limit. All other thyroid labs were in range, as they fluctuated between hyper and hypothyroid. I was diagnosed with Hashimoto’s and sent on my way. I tossed my prescription for synthetic thyroid replacement, as I just wasn’t ready for that step, whatever that meant. I ended up reading about the connection between gluten and autoimmune disease as I scoured the internet looking for answers to my affliction. I was desperate to avoid taking thyroid replacement for the rest of my life. I ran the stool test looking for antibodies produced against gluten and came back positive. So I gave up gluten and was very compliant; but within the year resolved to start thyroid medication. I researched natural desiccated thyroid and knew it was the best fit for me, so I found a doctor willing to prescribe it. Over the next year or so things leveled out, symptoms improved, and I felt like I could at least participate in my life. We moved to another military assignment, I began working out more regularly, started routine acupuncture, and realized I wanted another baby. After a few months of trying, I got pregnant. I was elated and I was feeling better than I had in a long time. My pregnancy was fairly uneventful other than managing my thyroid dosage, and my delivery was unmedicated–a goal I had had for awhile. I had 3 healthy children and life was good. But around 5 months postpartum, I began feeling terrible. It was even more terrible than I felt after the first two babies were born. I chalked it up to juggling 3 babies and the hormone shift as well as the need to recalculate my thyroid dosage. I had let my strict gluten free lifestyle go as well and it was time to refocus. So I lowered my meds, cleaned up my diet, and tried to ride it out. And I got worse. Much worse. I became so sick in fact that I was housebound 90% of the time and often bedbound. Now I was stricken with neurological symptoms including brain swelling, vertigo, migraines, severe emotional lability (especially when my brain was inflamed), heart palpitations, disorientation, word searching, and more. It was a living nightmare. I visited a new integrative doctor, in yet another new city and sought help. She ran labs for viruses, candida, thyroid, adrenals, nutritional deficiencies, and infections and included urine, stool, blood, and hair. The results were overwhelming. I had elevated antibodies for so many types of infections I didn’t know where to start. She noticed I had a few antibody bands come back positive on a western blot for Lyme disease and suggested I test further. I fell down a rabbit hole of more testing, more doctors, and lots of medication recommendations. Ultimately, I chose to treat the Lyme disease as it was insinuated that this could be the root of all my issues. I began multiple high dose antibiotics that I eventually took for over a year. I was back to strict gluten free eating, took over 40 supplements, probiotics, herbs, and anything else that my doctors recommended. I saw 3 different Lyme literate physicians (LLMDs) over this time. And I got even worse. Ridiculously worse. I was assured that this was �herxing� or bacterial die off. So I persisted, I stayed on meds, and life just kept getting more horrendous. I so often begged to die that I wondered daily when my last day on earth would be. I knew I was dying, I just didn’t know when or how long it would take. But during this time I researched. I read and read and dug until there was nothing left to read. I kept seeing things about the paleo lifestyle for any number of ailments. Be it autoimmune or otherwise, it seemed I was being pointed in this direction for a reason. Ultimately I made the decision to stop taking antibiotics and start focusing on rebuilding my immune system instead of destroying it. Giving up the remaining grains and dairy was terribly hard, but it was the first time I began seeing ANY progress in this very long journey. Slowly but surely, I began reclaiming bits of my life back. I began chronicling my recipes, keeping a blog in secret, and eventually sharing it with others. I simultaneously took my already-gluten-free children off of dairy as well, so I needed a place to revisit recipes that kept them nourished and happy too. I noticed changes in all of us. My five year old’s sleep apnea and enlarged tonsils all resolved, my two year old’s enlarged glands in both her groin and neck resolved, and my son’s tummy aches disappeared without gluten and dairy. I see now how life altering food changes can be. I see that what you put in your body has everything to do with not only how you feel from day to day but also has the capability of healing a leaky gut and truly managing autoimmune conditions. This does not mean that food always takes the place of medication or of medical care. But we cannot overlook nutrition as being instrumental in our healing. In my own story, my body could not even begin to heal until I removed inflammation-causing foods, despite the multiple medications, supplements, and other lifestyle changes. My healing has been gradual, with those expected setbacks that have made me feel as if I was failing. But over the past 2+ years of eating this way, I have finally seen glimpses of the old me. Before my body began attacking itself, before I became a shell of the person I was, and before my immune system became my own worst enemy. I consider myself a work in progress as I truly believe that once you have a chronic ailment, you must always take extra care in respecting your body and its limitations. But I am living again. I am an active parent, a contributing citizen and am no longer just a spectator of my own life. And for that my heart will never be able to ex press the joy and gratitude to have been born once again. –filled with gorgeous photos of the recipes she includes. You can also visit her Facebook page Predominantly Paleo which has some really delicious recipes on it, too. P.S. 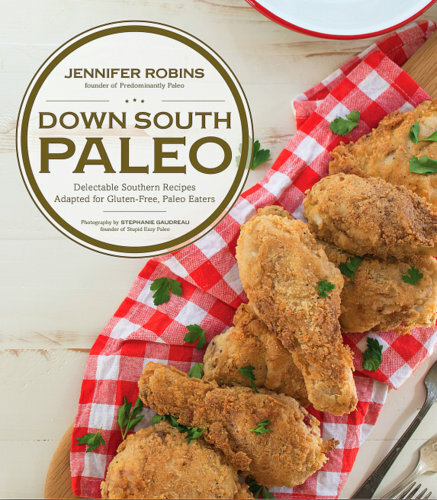 I, Janie, have her book Down South Paleo: Delectable Southern Recipes Adapted for Gluten-free, Paleo Eaters and it is fabulous. ** Learn what Thyroid Patients before you have learned about better thyroid treatment. **Join the STTM Facebook page for daily tips, information and inspiration. It is very true that the foods that we eat affect our health, some of them make us healthier, some could cause different disorder including mental illness. Recently I have read an article about foods that improve brain capabilities and memory. Love this site! Thanks for the great posts and encouragements. After years of struggle (17 to be exact), I found amazing healing through mostly foods… but a couple of other natural strategies too. We can’t overlook what goes into our mouths by the forks full and then think that a tiny pill will end the woes. I learned that the hard way! 🙂 Check out my new book, Thyroid Wins, on Amazon. Many people are gaining their health back by following Dr. Davis’s Wheat Belly Total Health program too…… It isn’t just gluten free, but also low carb, so gets the insulin better regulated. If you are T2 diabetic, check out Dr. Jason Fung. He is havinb great success getting his patients fasting. Resting the pancreas can help it recuperate, and the fasting helps with weight loss too. It is serendipitous that I found this website as Ive thought for the past 7 months my lack of life is due to grieving after my mom past away. While that may be true, after reading all of your comments and this blog I can see it might be more. so thank you all for sharing your thoughts! For those going gluten free and feel overwhelmed by all the effort it takes, check out Nicole Hunn’s cookbooks. Gluten Free on a shoestring is fabulous in terms of learning easy recipes and her money saving advice. I used to be a skeptic. Then I decided I didn’t have anything to lose, I’m already dying (or at least it felt like it to me), and I began eliminating gluten/grains and sugars, then nightshades. Lo and behold…I’m off all drugs the doctors had me on for years and I feel better!! My thyroid isn’t optimal yet because of adrenal issues but we’re getting there. I can’t help but advocate for an unprocessed traditional real food lifestyle. Thanks for sharing this story Janie! Janie I am so thrilled to see this blog. Going AIP paleo has been one of the best things I have done for my hashi’s apart from getting onto NDT which came later. Healing your gut means better absorption and better conversion and better healing. There are so many AIP bloggers I follow who have inspired me including Jennifer. At the least, anyone with an autoimmune disease will benefit from going gluten free. Keep up the great work, you are amazing! I think dietary changes have been the most important part of my healing process. And when I backslide on my diet, I feel the negative effects immediately. Diet hasn’t been a cure-all; I still take prescription medications and supplements, and live a very strict lifestyle, but I’ve seen more healing from dietary changes than anything else. The biggest challenge is that it is difficult to eat properly. It takes a lot of time, work, money and energy. It is a never-ending challenge and sometimes I’m so tempted to let up on the discipline, I just head to the nearest restaurant or buy prepackaged food. I know doing so will harm my health, but sometimes I just don’t care. I dream of a day I can find healthy food in the grocery store as easily and conveniently as I can find food that will make me sick. I grew up on mcdonalds, a&w, kfc and many more fast food. Eating at home meant from a box — rice a roni, hamburger helper,; spam, best foods mayonnaise, margarine, cool whip, twinkies, and on and on. No wonder I got hashimotos, then thyroid cancer. Now parents criticize me for not being able to work. Hmmm. Why do you think EDS? Thats interesting. That’s a very rare condition. Based on the brain swelling and why the mast cell activation?